I loved the pretty Turkish Ottoman pottery display in the Islamic wing at the Met last week after first visiting the British silver exhibit. 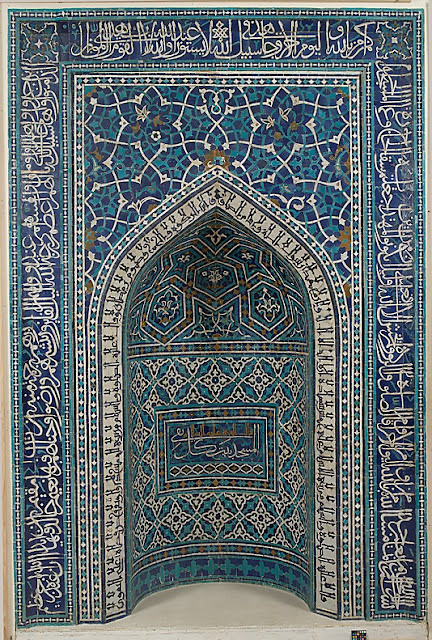 Although not from the same collection, this stunning prayer niche from Iran, 1350's, is just so beautiful, had to share it, it is in a gallery adjacent to the Ottoman pottery. 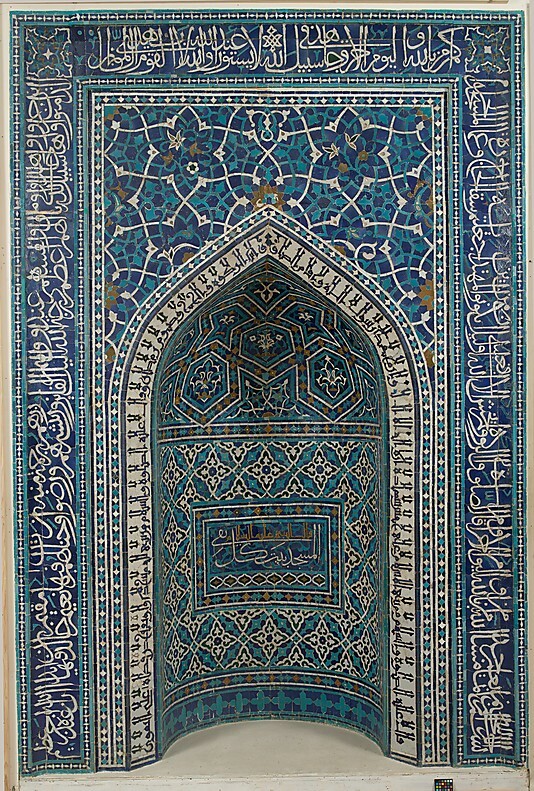 To learn more about their collection of Ottoman art, go here. Much much more to discover at the Met, nice to explore it in small bits each visit to the city. Very interesting posts!!! Thank you for sharing!! Hi Cindy, You have me eager to visit. Maybe after the holidays!